Like multi-line editboxes, listboxes are actually composed of a container (a com.mathworks.hg.peer.utils.UIScrollPane object) that includes three children, as expected from any JScrollPane: a javax.swing.JViewport that contains the ListboxPeer$UicontrolList component, and horizontal/vertical scrollbars. I explained how to customize the scrollbars in an article back in early 2010. Note that while the code above used the underlying Java component, absolutely no knowledge of Java is required to understand it or use it. In fact, the entire code above is pure Matlab, simply setting the component’s properties and calling its methods, and using its inherent support of HTML strings. Much more advanced customizations are possible at the Java level, especially using a dedicated CellRenderer. Interested readers can find more information about these and other possible customizations in my report on “Advanced Customizations of Matlab Uicontrols“. This 90-page PDF report can be purchased here ($29, please allow 24 hours for delivery by email). The report explains how to customize Matlab’s uicontrols in ways that are simply not possible using documented Matlab properties. This includes treatment of push buttons, toggle buttons, radio buttons, checkboxes, editboxes, listboxes, popup menus (aka combo-boxes/drop-downs), sliders, labels, and tooltips. Much of the information in the report is also available in hard-copy format in chapter 6 of my Matlab-Java programming book. If you’d like me to personally add similar magic to your GUI, email me to see if I can help. Now tell the truth – doesn’t Matlab’s standard listbox look kinda boring after all this? I don’t know if you’ve seen the FEX utility which I created which uses some of the items I learn’t on your site about formating and customising listboxes? The utility uses pure matlab code with an API to make multi column (formatable) listboxes. 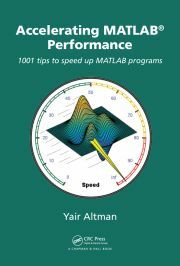 thanks for this powerful tips and tricks, so far i was not a big fan of Matlab mainly because of very limited GUI functions, but now i start to believe in it. – i can not find how to change list row color with Javax. 1) you can set the UIContextMenu property of the listbox with whatever functionality that you wish – see the documentation. 2) you can use HTML formatting for this – see here. I’m already using javax to customize the ListBox and other uicontrol …..is there any way to add popup menu and submenu with javax ? same for change listbox row color. Of course you can do all that in Java (I don’t know why you call it javax), it’s called a JPopupMenu. But this is a Matlab blog, not a Java blog. So if you insist in using Java for this then I suggest that you check one of the numerous Java resources, either online or offline (books). You can start here. I have an issue here. I also use a Listbox with HTML code in it, and my figure resizes the listbox whenever the figure size is changed. Now it seems that the value set with ‘setFixedCellHeight’ is reset after resizing. Do you have an idea why? And something else: On a colleagues PC the HTML text is cut-off at the bottom. Now I found out that he is using a larger Windows font size. Do you have an idea how to detect the needed list item height depending on the used default font? The component is reset/repainted by Matlab when it determines that a component resize is required. You can trap this in the containing panel’s SizeChangedFcn or possibly the Java component’s ComponentResizedCallback callbacks, where you can reapply all the customizations. Oh all right. I thought I did something wrong and the settings should be consistent after repaints. Also the FontMetrics class works like a charm. Thanks a lot for your quick help!